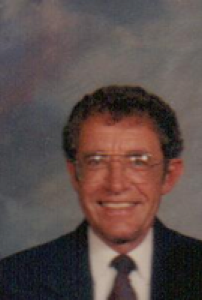 Michael Louis Weiskittel, 60, 12587 Sidney-Freyburg Rd., Anna, Ohio died at his residence on Monday, October 19, 2009 at 6:55 AM after an extended illness. He was born April 4, 1949 in Sidney, Ohio the son of Louis and Virginia (Karns) Weiskittel and they are deceased. He was married on July 20, 1974 to Debra King and she survives along with two children, Chad Michael and wife Michelle (Kircher) Weiskittel of San Francisco, California and Scott Michael and wife Christa (Christman) Weiskittel of Anna, Ohio and three grandchildren, Logan, Madison, and Hayden Weiskittel and one sister, Patricia Weiskittel of Cincinnati, Ohio. He was a 1968 graduate of Holy Angels High School in Sidney, Ohio and also attended Ohio State University for two years. He was a United States Navy veteran and was a member of the Sidney American Legion. He loved fishing, golfing and his grandchildren. He was a member of Holy Angels Catholic Church in Sidney. He had worked at Krogers for 41 years in Sidney, Piqua, Troy and Greenville in the produce and meat department and was a manager of the store. A Mass of Christian Burial will be held on Friday, October 23, 2009 at 10:30 AM at Holy Angels Catholic Church with Rev. Jason Bedel. Burial will be at Pearl Cemetery, Swanders, Ohio with full military honors. Friends may call at Salm-McGill and Tangeman Funeral Home on Thursday, October 22, 2009 from 6-9 PM. Memorial contributions may be made to Wilson Hospice, 915 W. Michigan Ave., Sidney, Ohio 45365 and envelopes will also be available at the funeral home.